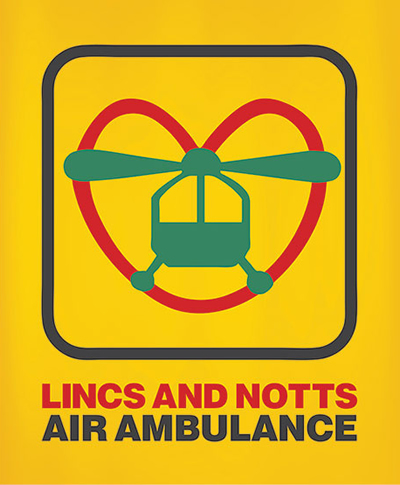 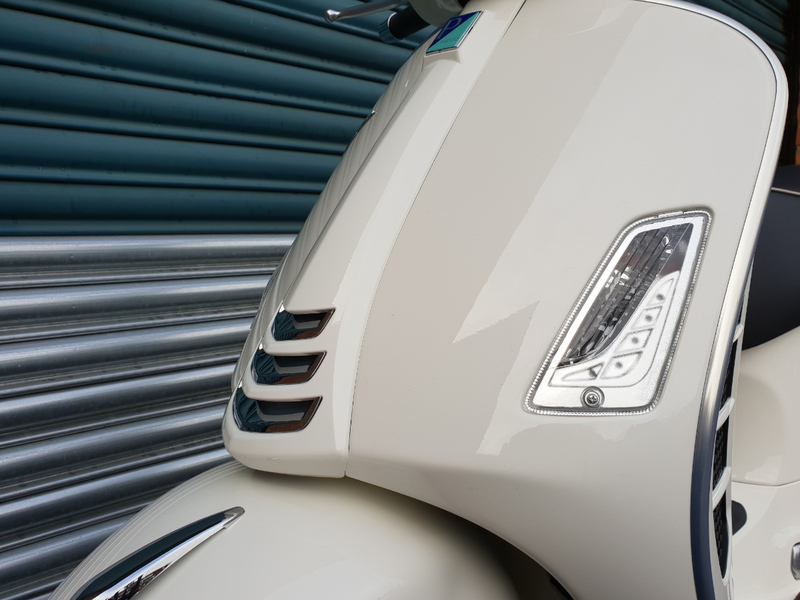 The front section features a redesigned shield, the centre of which incorporates the unmistakeable horn cover, extended and enhanced with three decorations. 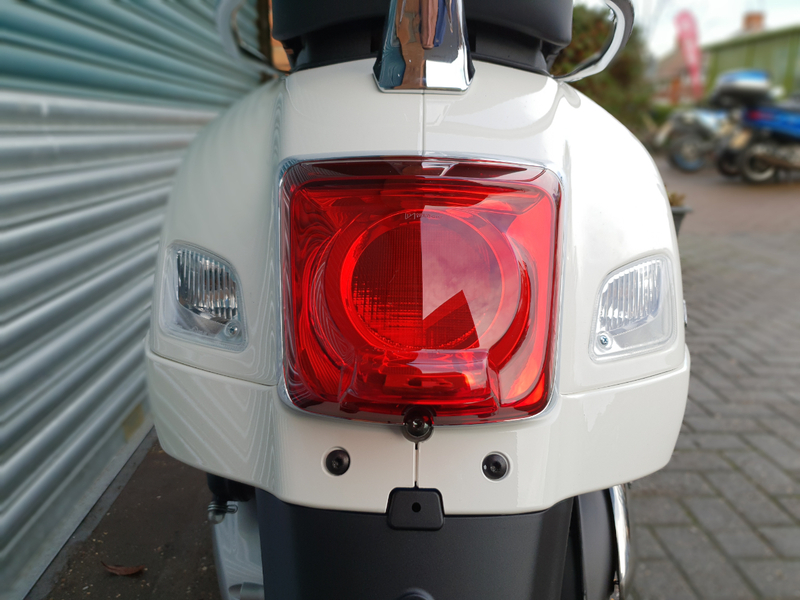 Also new is the shape of the handlebar, the chrome crest of the front mudguard, the rear view mirrors and the grilles to the sides of the shield, characterised by a brand-new honeycomb motif. 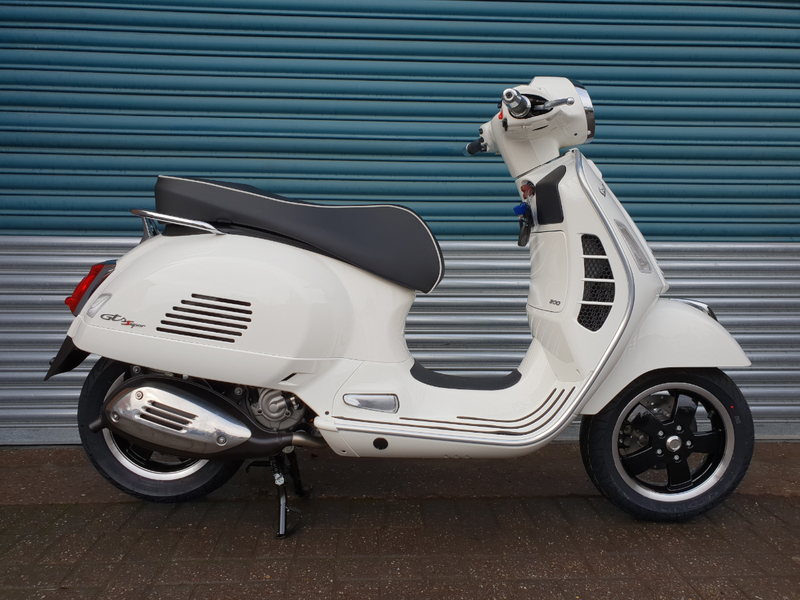 At the rear, the side panels undergo a restyling, running under the body, while versions driven by a 300 HPE engine stand out for a new engine crankshaft cover and a new silencer cover. 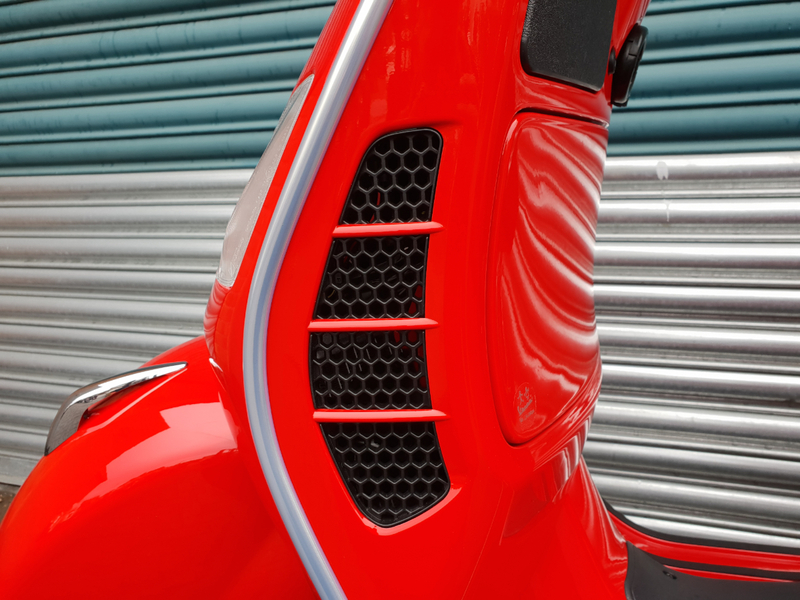 The perfect ergonomics and natural seat position have always contributed to making every Vespa comfortable, pleasant to ride and accessible to all. 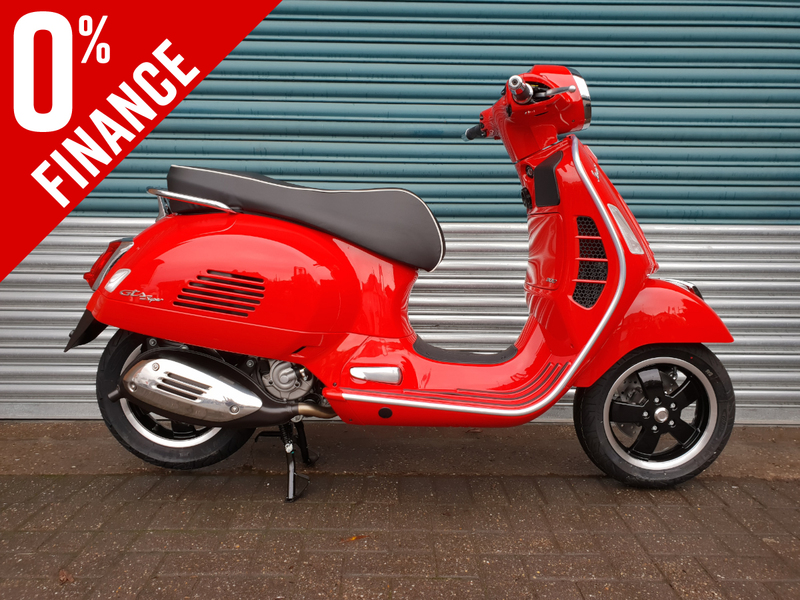 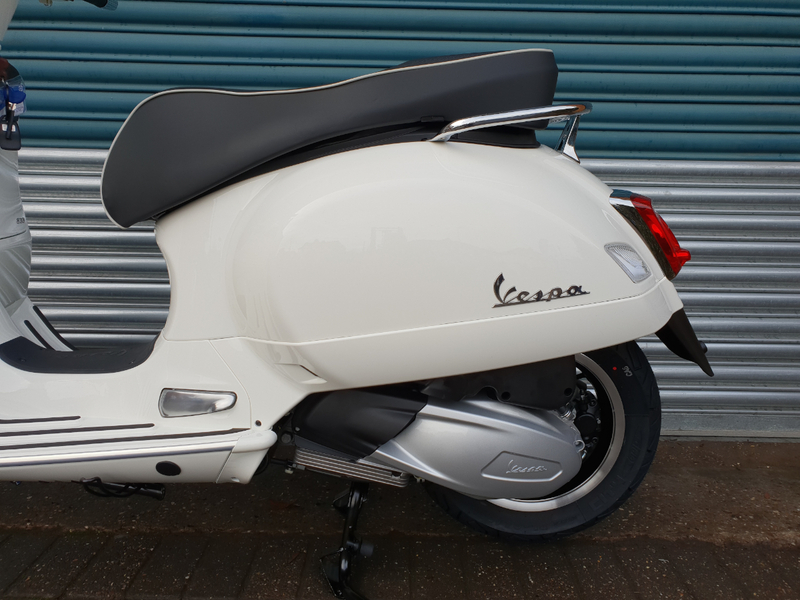 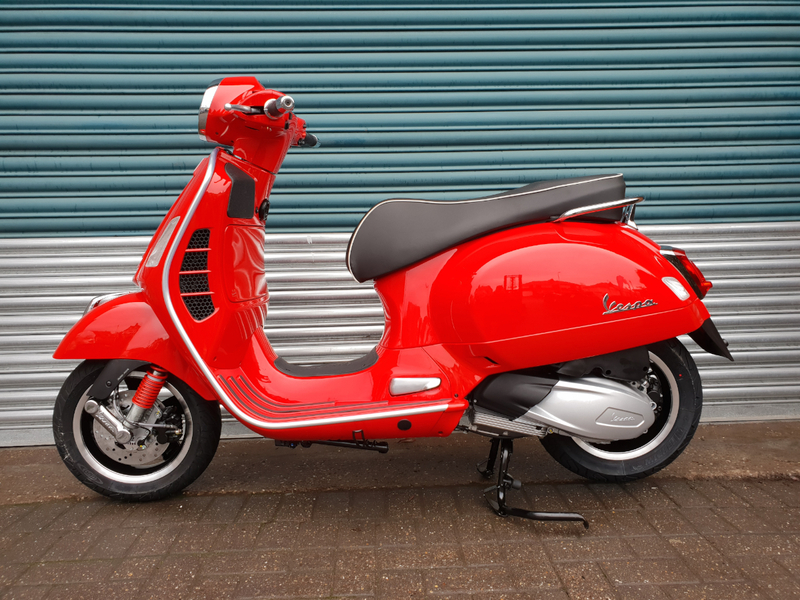 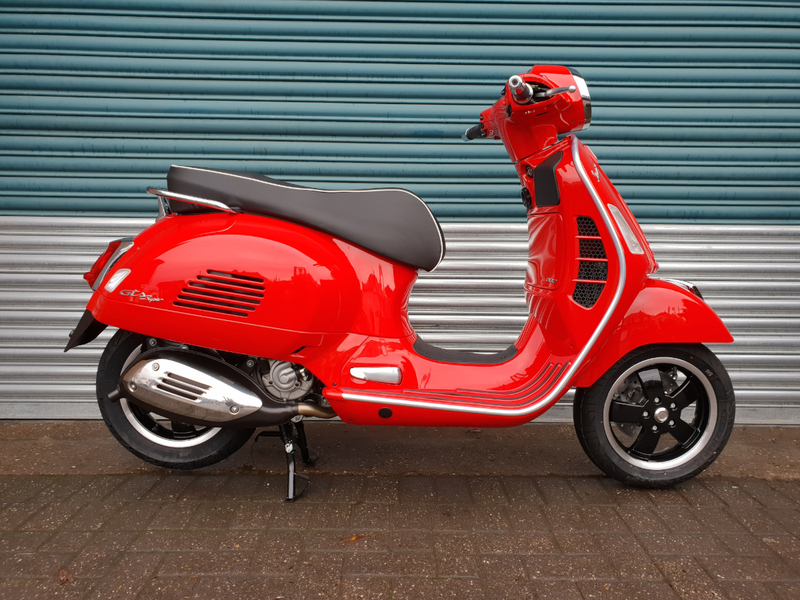 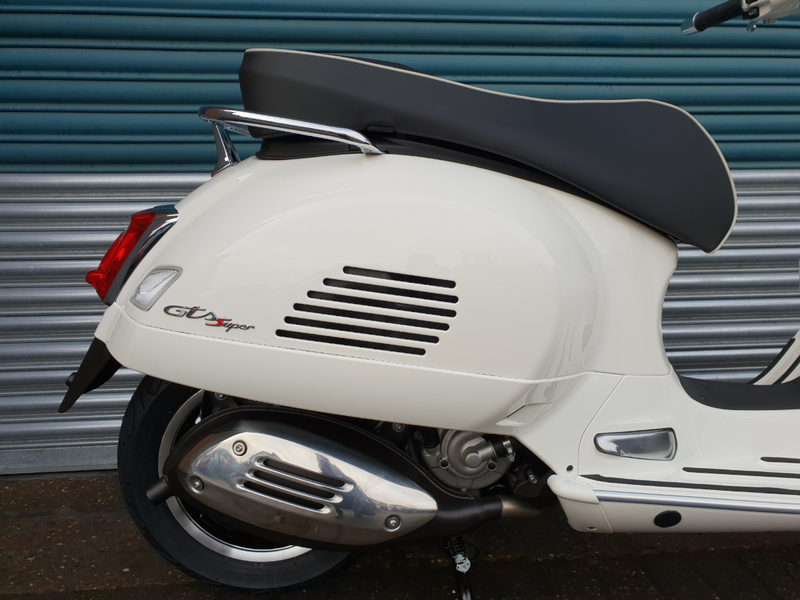 The new Vespa GTS further highlights that strong touring tradition that big Vespas have always embodied, offering a new seat able to guarantee greater comfort for both rider and passenger. 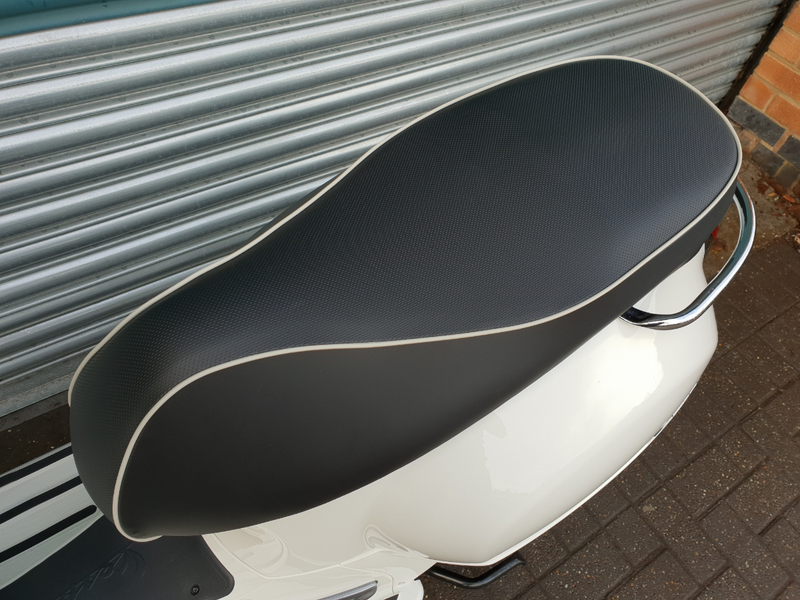 A result achieved thanks to optimised ergonomics and the use of new materials for the padding and upholstery. 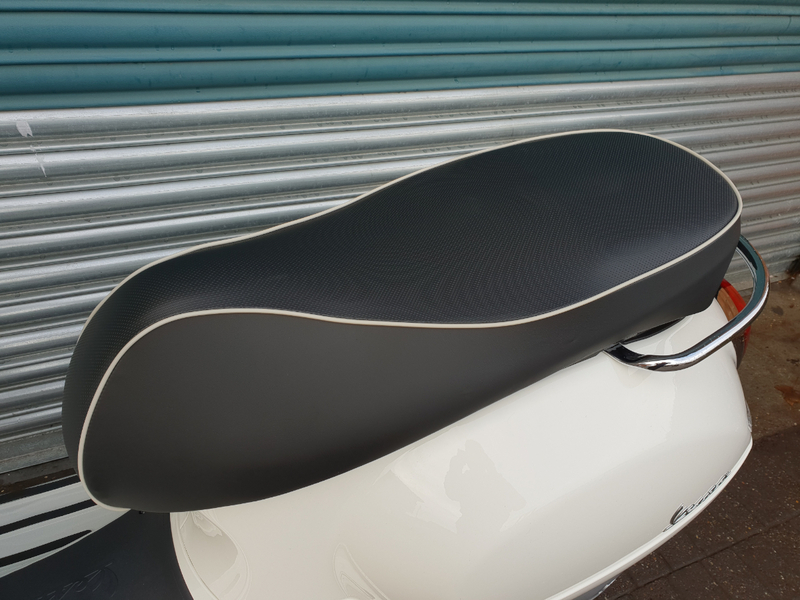 The large under-seat compartment makes the most of available space, able to accommodate two Vespa Visor 3.0 demi-jet helmets and more besides. 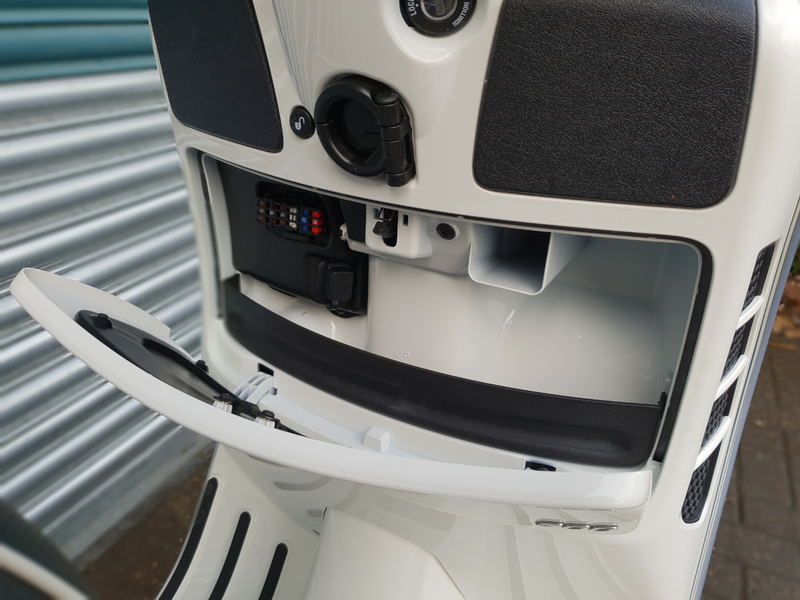 Adding to the load capacity of Vespa GTS is a glove box, inside which there is also a USB port, useful for the recharging of external devices. 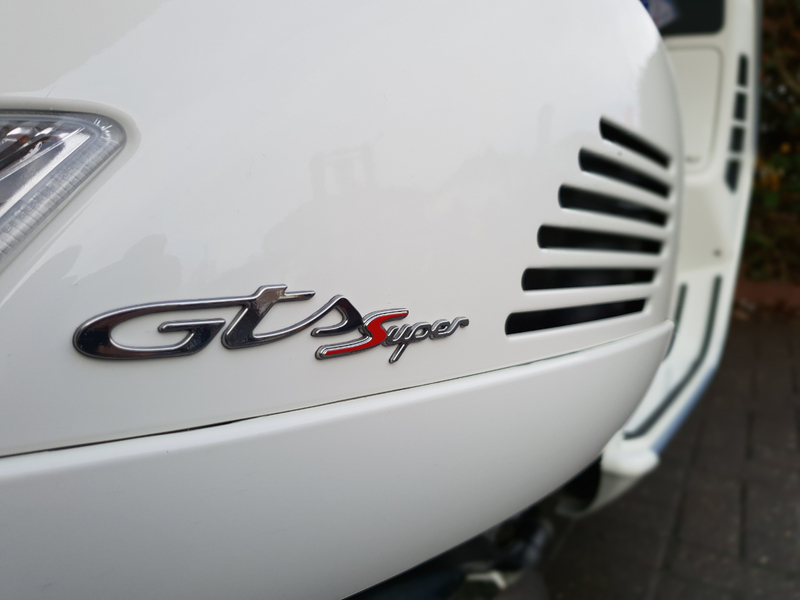 With respect to the previous version, maximum power comes in at 17.5 kW (23.8 HP) at 8250 rpm, which translates into a 12% increase, while maximum torque, equating to 26 Nm at 5250 rpm, has been boosted by 18%. 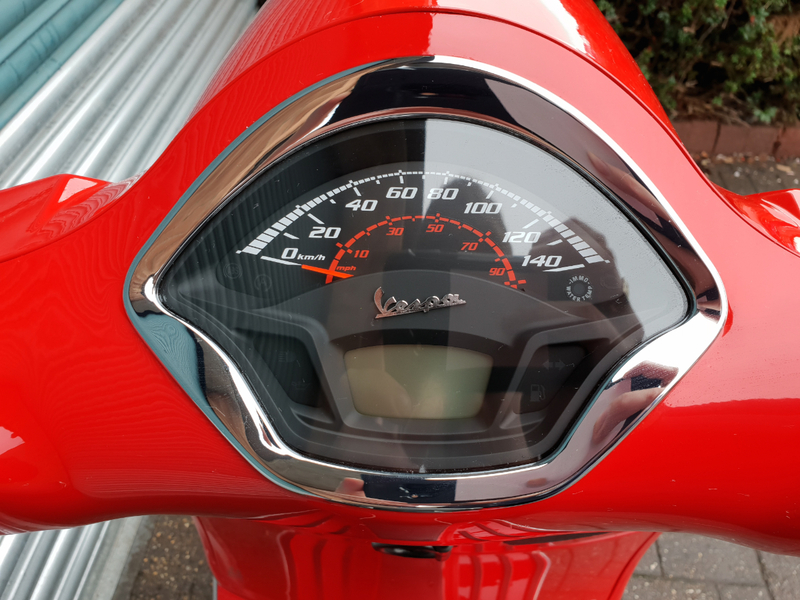 Improvements that are paired with a significant reduction in consumption, with mileage increasing from 29.4 km/l to 31 km/l in the WMTC cycle. 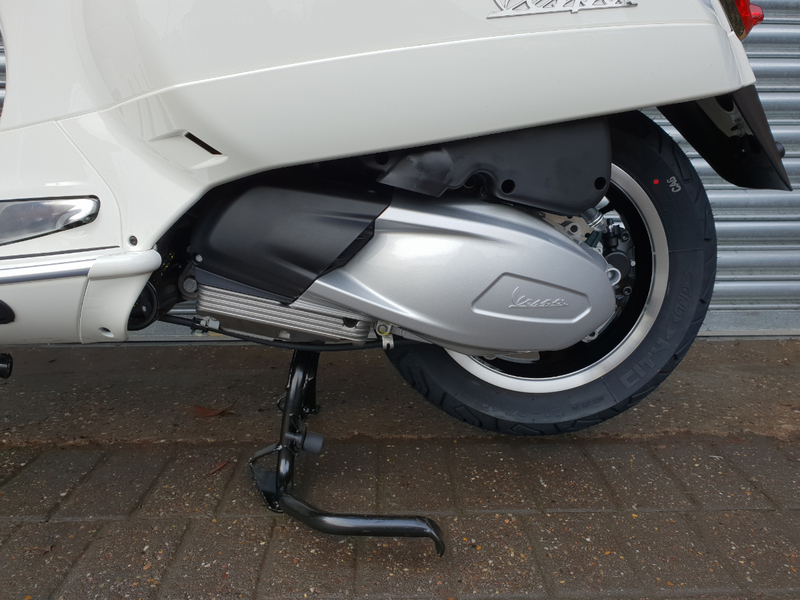 This is the most high-performance engine ever mounted on a Vespa, a result achieved thanks to meticulous work by Piaggio technicians across a large number of components, with the aim of optimising thermodynamic output and reducing friction. 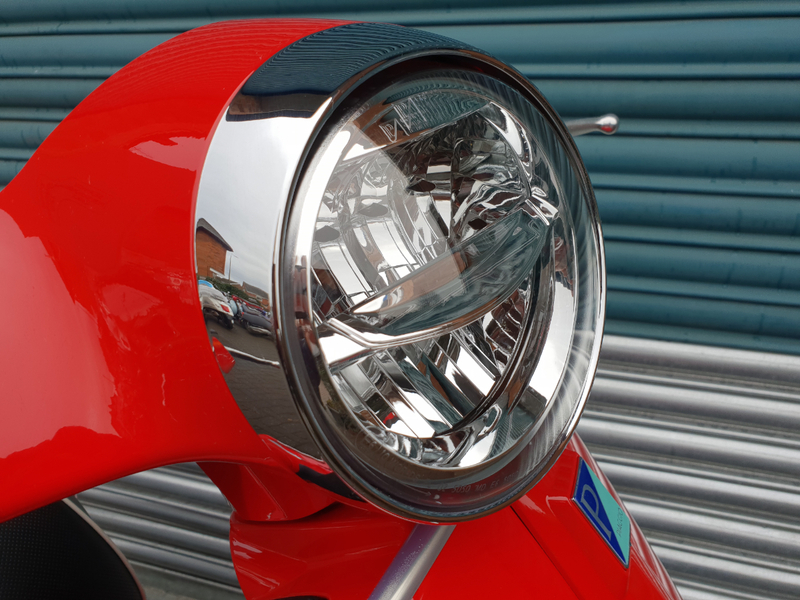 The adoption of a new head and a piston with redesigned architecture results in a highly efficient combustion chamber, which also benefits from valves and ducts of increased diameter inside the head. 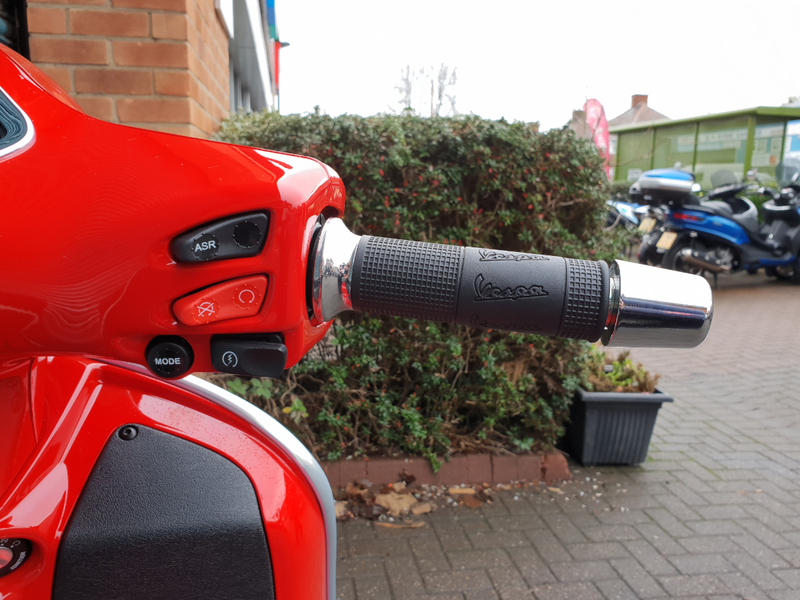 The single camshaft distribution system with roller tappets gains a camshaft with optimised timing and valve lift speeds. 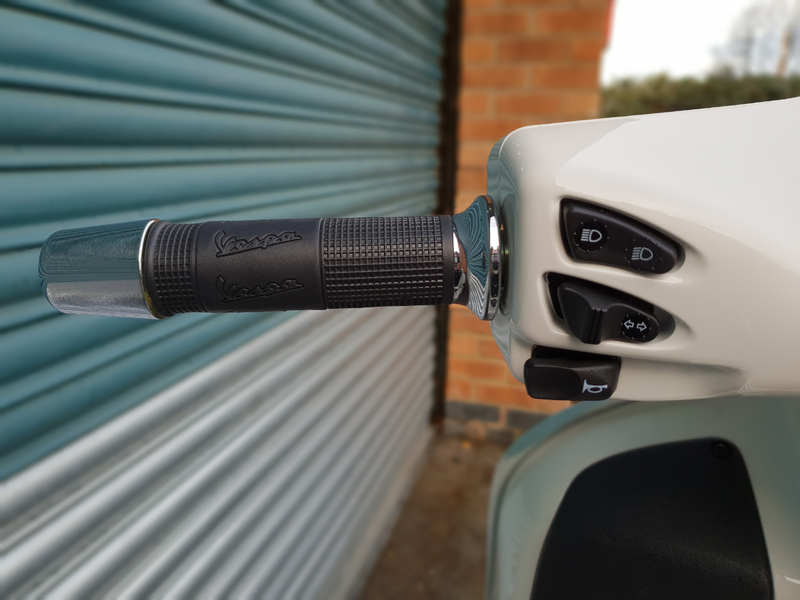 The introduction of a new high pressure multi-jet injector also helps to improve combustion. 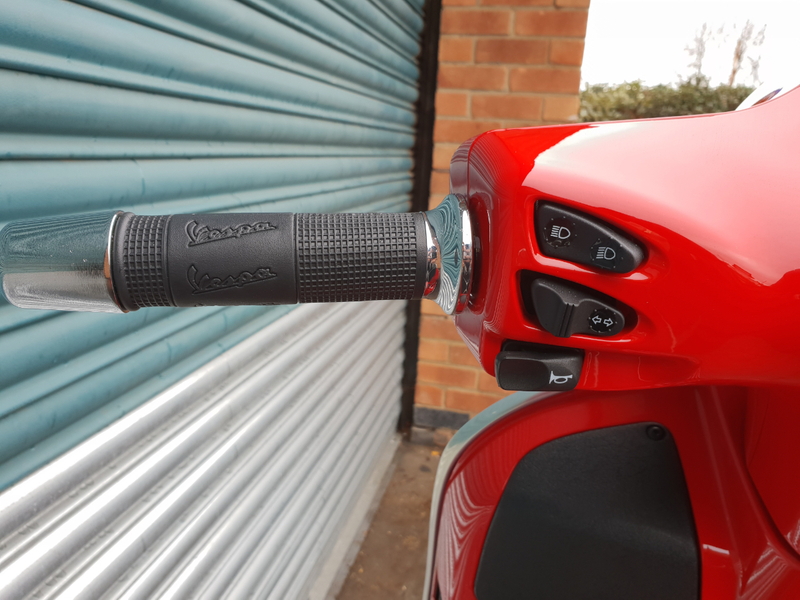 Lastly, a more generous intake line improves the torque delivered at low revs and ensures an exceptionally smooth ride at any speed. 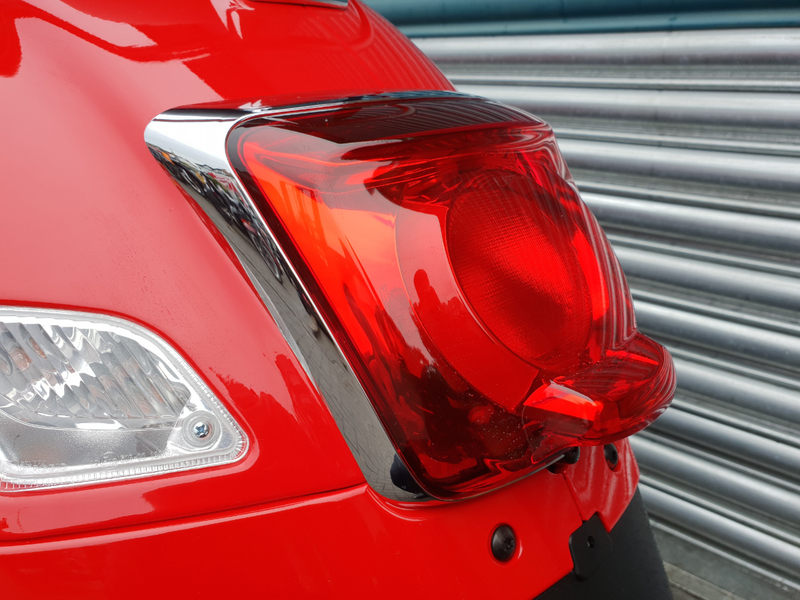 The new iridium ignition spark-plug ensures greater durability. 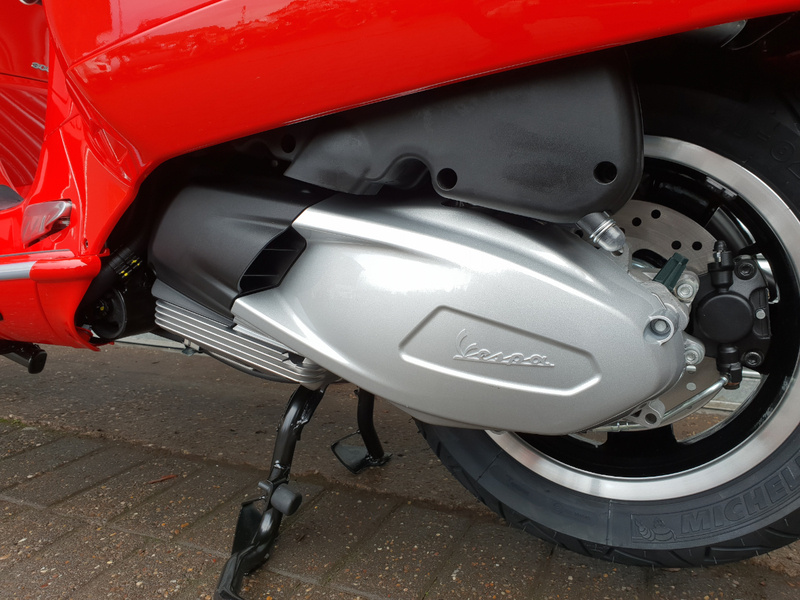 The transmission has also been dramatically redesigned: the CVT boasts a new belt, new geometry and new materials, all enveloped by a new cover coated with sound-absorbent material, to reduce mechanical noise, also aided by a new, more rigid clutch drum. 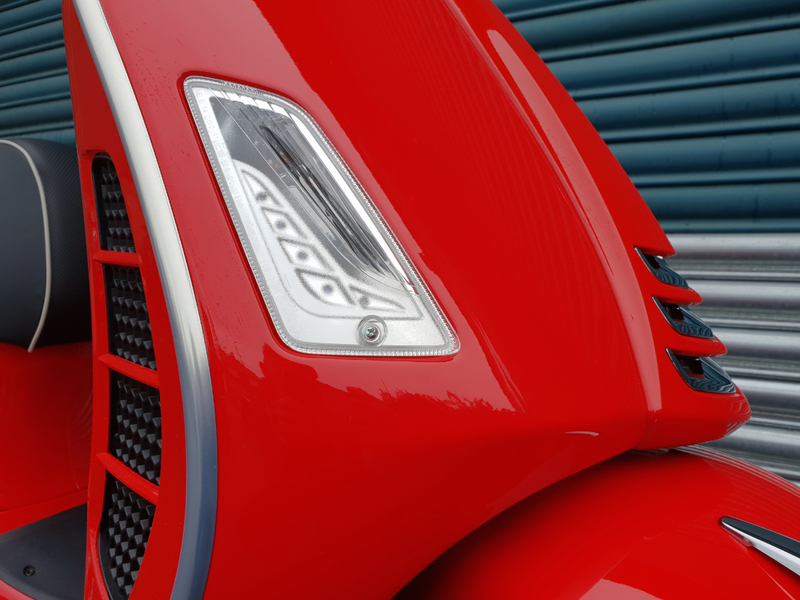 The engine is controlled by a latest-generation Magneti Marelli MIUG4 ECU, already compatible with the future Euro 5 standard. 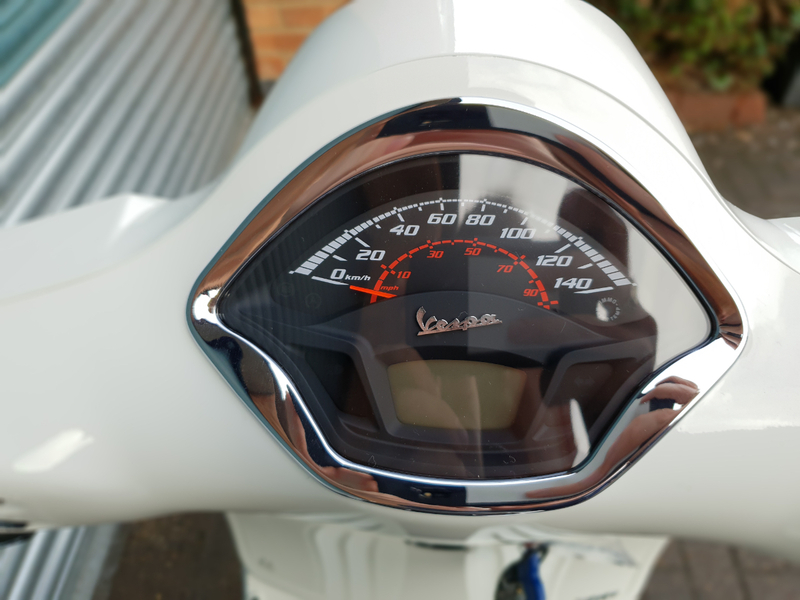 The Vespa GTS chassis, in line with all Vespas from 1946 until now, is strictly steel for unrivalled robustness as well as truly unique levels of safety and dynamism. 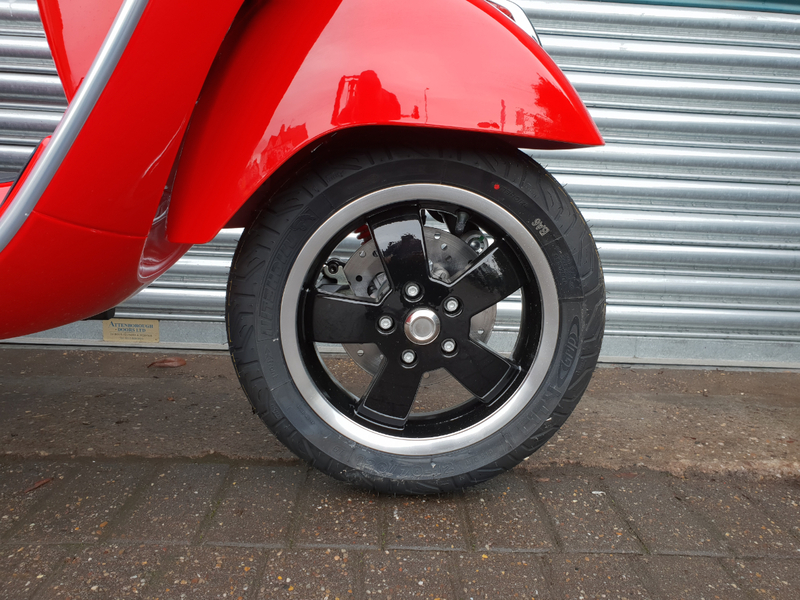 The result is a particularly brilliant ride both in city traffic as well as on country roads: a blend of thrilling handling and reassuring stability, also thanks to the generously sized tyres on 12 inch wheels. 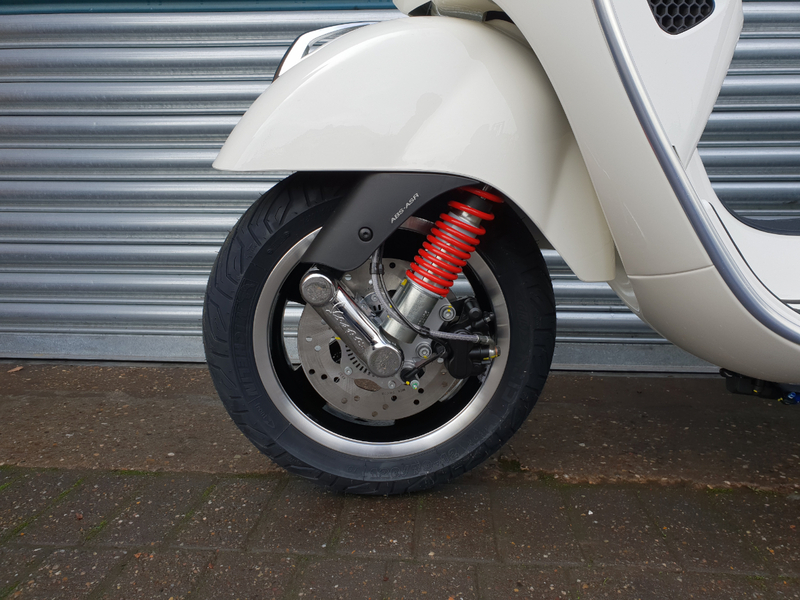 The double-disc braking system ensures prompt deceleration, even in sports use, with a modularity reserve able to put even a beginner’s mind at rest. 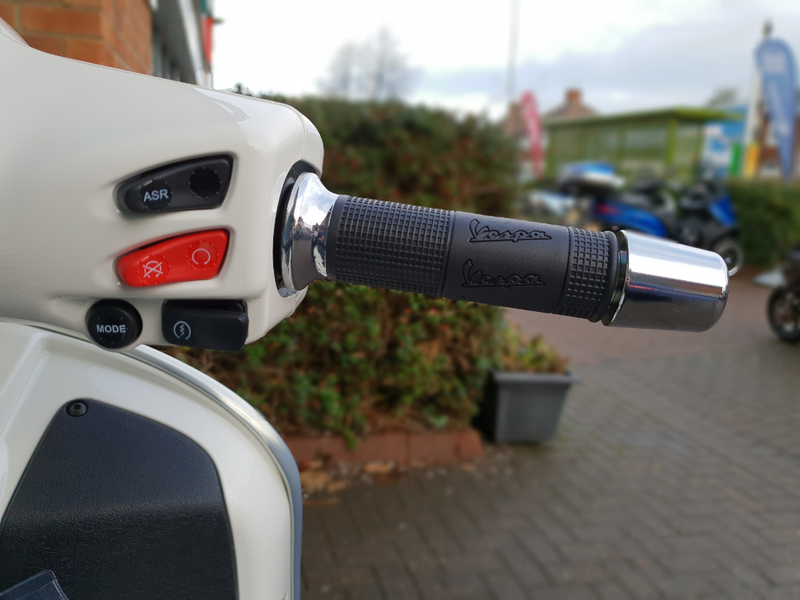 The Piaggio Group is the first manufacturer to introduce scooter ASR electronic traction control, once available only on the best motorcycles, to prevent wheel spin. 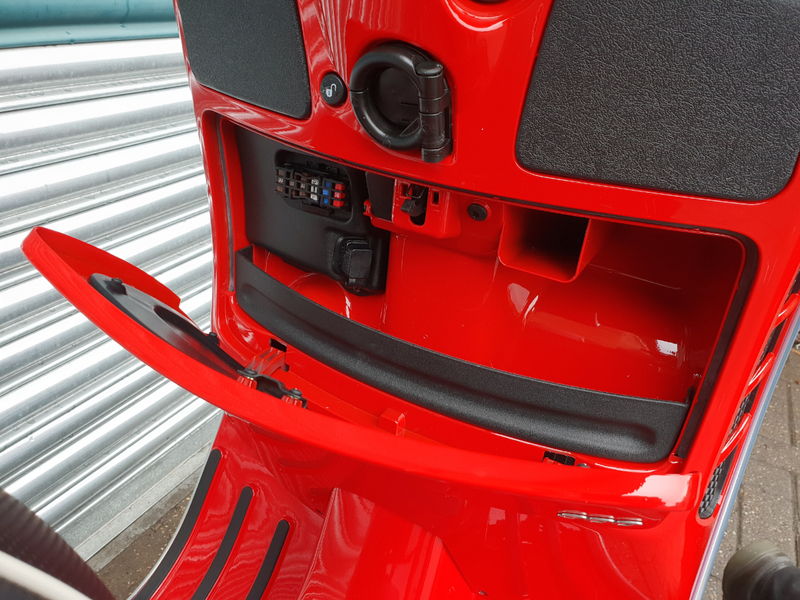 The electronic control package is rounded off with the ABS anti-braking system. 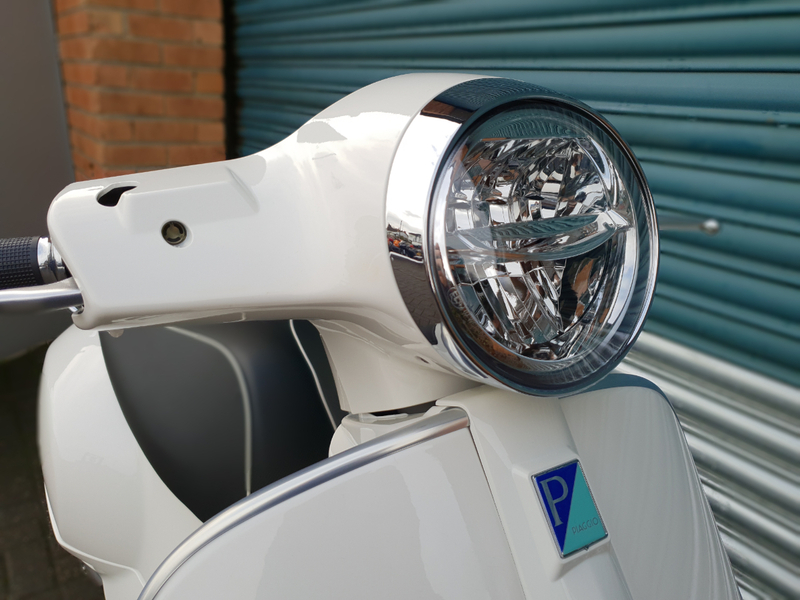 Both come as standard on Vespa GTS family models. 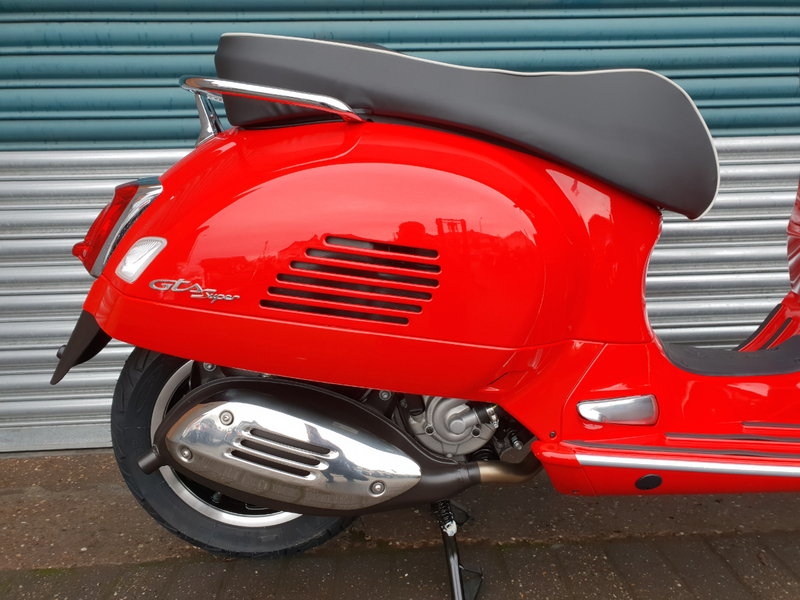 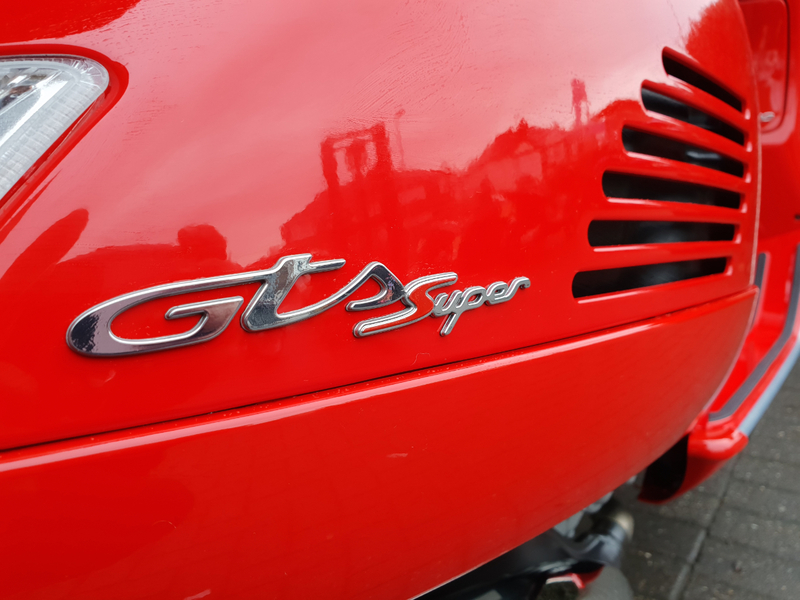 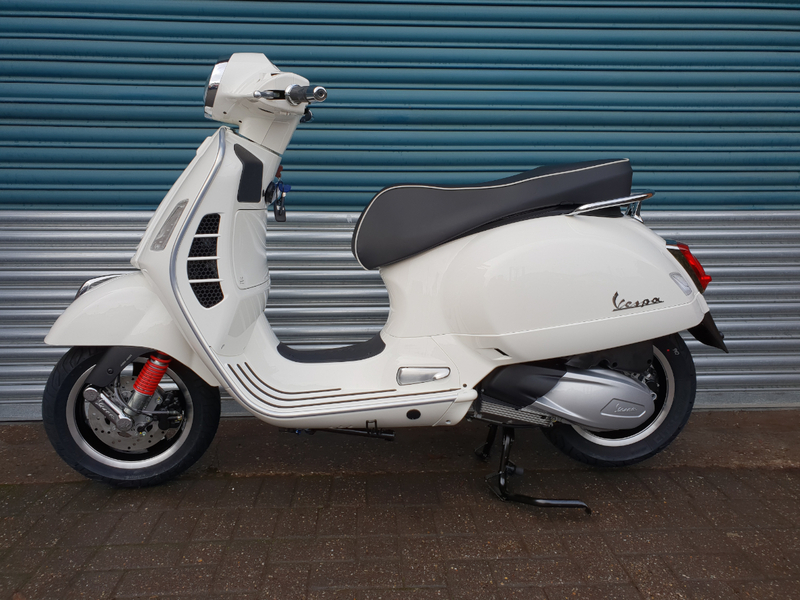 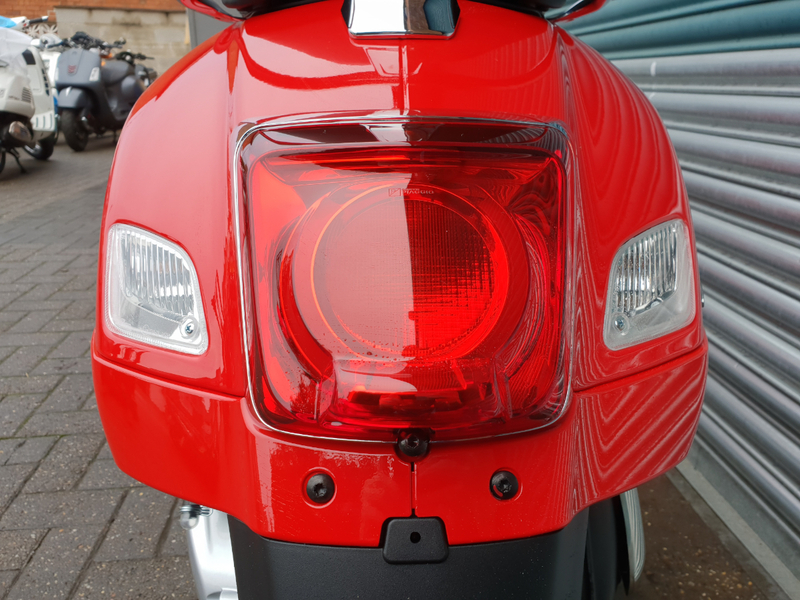 Got a question about this Vespa GTS 300 Super HPE (19MY)?